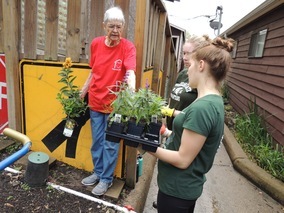 Volunteer News - Read All About It! 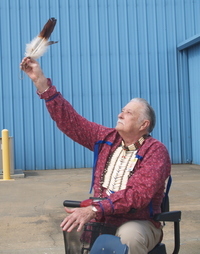 Roy England has been a Texas Department of Criminal Justice volunteer for eight years. During those years, he has carried over three hundred meetings into a number of different TDCJ facilities. Roy has a heart for those incarcerated. He typically makes eight meetings per month at six different facilities. He lives in Houston but travels as far as Huntsville, Beaumont, and San Antonio to bring a message of hope to the incarcerated. Additionally, Mr. England maintains a mentoring relationship with released offenders and assists their transition is made into society. Through his example and actions, Mr. England has positively impacted the lives of a countless number of citizens. Keep up the good work Roy England. You are greatly appreciated. Bob Weatherford describes himself as a rascal deep from the cotton fields of Decatur, Alabama. He loves fast cars and smiles as he says, “I arrived in Texas as quickly as I could”. He shared that his journey in prison ministry began with Bill Glass Evangelistic Association in 1980. For fifteen faithful years, he traveled with the Bill Glass Evangelistic Ministry across the United States sharing the Gospel throughout Texas, Louisiana, Alabama, Georgia, North and South Carolina and New Mexico. In 1995, Bob started volunteering on the Garza Complex and has faithfully continued teaching “Experiencing God”. He also assisted in the implementation of the first Faith Based Dorm at the McConnell Unit. We are thankful for God’s faithful servant, Bob Weatherford. He worked hard in those cotton fields in Decatur, Alabama, years ago, and he continues to work hard now. Bob knows the labor and toil it takes to reap a great harvest. He not only continues to sow into broken hearts, but he gets to observe the great harvest in the TDCJ. When one thinks of how to describe Bob, a few of the words that come to mind are steadfast, faithful and loving. He is the father that many of these correctional clients desperately need. Thank you, Bob Weatherford, for making an eternal difference in the lives and hearts of these men. 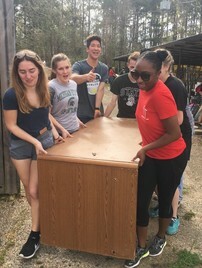 The Michigan State University (MSU) Alternative Spartan Breaks partnered with the Texas Department of Criminal Justice to plan an Alternative Spring Break (ASB). MSU ASB mission statement is: “Encourages the active citizenship of its students through quality service opportunities, education about social issues, and exposure to diverse cultures and communities.” Students are able to read a description of each trip and decide which one they are interested in before knowing the itinerary and destination of their trip. There were several ministries that partnered with TDCJ Volunteer Services. Those ministries were Hospitality House of Huntsville, Solomon’s House of Hope, Restorative Justice Ministries, and Rahab’s Retreat and Ranch. 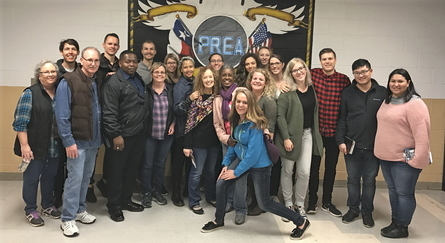 Ten Students decided to choose this trip that would give them the opportunity to experience the affects of social and criminal justice in Texas. 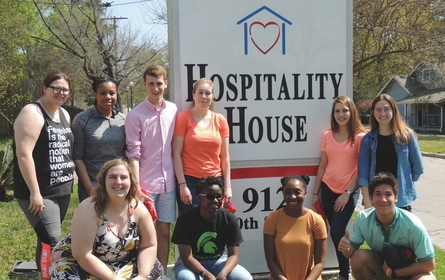 In summary, the MSU students were able to engage in some life changing activities during their spring break. They experienced the impact of crime on all aspects of life. Restorative justice was truly experienced in a hands-on environment. They assisted with all stakeholders of the Restorative Justice process. Anita Parrish of Solomon’s House of Hope stated, “The students worked hard without complaint. Not only was it a pleasure to interact with the students, the tasks completed were done beyond expectations. We would welcome the students back any time!” The TDCJ and other providers wish to thank the MSU students for serving our Texas community. This is only one of many stories in which volunteers are making a positive impact. Volunteers, from my desk to yours, I thank you for making a difference! The National Center on Addiction and Substance Abuse at Columbia University reports that eighty-two percent of individuals incarcerated in the United States have substance abuse involvement with their offense. In the fall of 2016, Alcoholic Anonymous (AA) Correctional Facilities Chairs met with the Rehabilitation Programs Division (RPD)& Correctional Institutions Division (CID) staff in Huntsville to discuss the expansion of substance abuse programming throughout TDCJ. Since the meeting, there has been collaborated efforts to increase education and volunteer recruiting, where we have seen an increase of twelve percent in TDCJ substance abuse volunteers. TDCJ has a long history of working with the Alcoholic Anonymous community to expand services throughout TDCJ to meet this need for programming. There are several fellowships that contribute to meeting the needs of individuals incarcerated such as Celebrate Recovery, Narcotics Anonymous, Secular Organization for Sobriety (SOS) and Winner’s Circle. We appreciate these fellowships partnering with our efforts to expand services in the area of substance abuse. 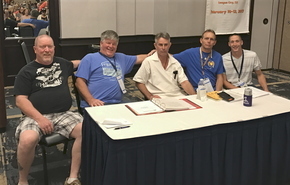 “Lost Dreams Awaken And New Possibilities Arise” was the title of the TBRCNA17 convention in League City. 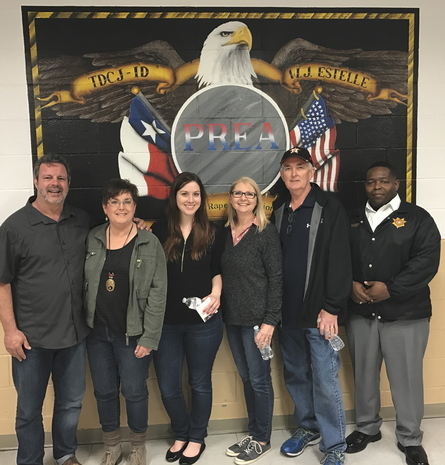 The Hospitals and Institutions Service Committee sponsored a workshop where a TDCJ offender spoke about the importance of carrying the message of Narcotics Anonymous inside the prisons. TDCJ approved volunteers spoke about their experiences and the love they have for volunteering inside TDCJ Units. Tejas Bluebonnet Region of Narcotics Anonymous, we appreciate the dedication and support you provide to those incarcerated. The Students from BSSM minister to offenders at Estelle, Goree, Holliday, Hughes, Marlin and Wynne Units. BSSM students travel to Texas to do mission work at TDCJ facilities three to four times a year. They serve on TDCJ’s mission field revealing God’s love, truth, and power as they minister. BSSM mission teams have ministered on eight facilities since 2013. BSSM is a vocational ministry school in Redding, California. Their curriculum centers on students embracing their royal identity and learning kingdom values. The mission of BSSM is to develop individuals in to revivalist. They emphasize hands-on training and experience along with academic understanding. This creates a “teach and do” culture where students take risks to stretch their faith and grow in their understanding of God. To read more about BSSM. Recently, Kris and Kathy Vallotton – BSSM Senior Administrators visit the Estelle Unit. Kris is a noted prophetic voice worldwide and has served on Bill Johnson’s apostolic team for decades. 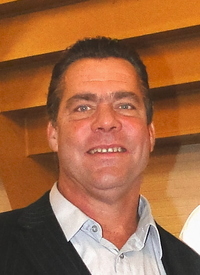 Kris is a sought-after speaker around the world and has written numerous bestselling books. Kathy is an anointed worship leader and assists with the training of the worship teams. To read more about the Kris and Kathy Vallotton. To learn more about becoming a TDCJ volunteer visit the TDCJ website and click on the Unit Directory to identify a facility near you. If you would like to discuss the specific volunteer needs for the facility, please feel free to contact the Unit Administration or the Chaplain. You can also visit the Volunteer Services webpage by clicking on Volunteer with the TDCJ. You are encouraged to complete a Volunteer Application and take the application to a Volunteer Training/Orientation site near you. You may search the Volunteer Training/Orientation schedule by date or by city. Update your subscriptions, modify your password or email address, or stop subscriptions at any time on your Subscriber Preferences Page. You will need to use your email address to log in. If you have questions or problems with the subscription service, please contact https://insights.govdelivery.com/Communications/Subscriber_Help_Center.